On Friday 16th April an invite was accepted from London Oxford Airport for a pre-EBACE briefing from the airport management and the other companies based at this fast growing regional airport. To see what developments have and are about to happen there. The airport has been the property of Oxford Aviation Services Limited since 2007 and until recently was a very busy training airfield being the base of the Oxford Air Training School. In the school’s hay-day the airfield was an extremely busy place with flight training going on continuously but today annual movements are much lower. However, this reduction is beneficial as the airport is now able to offer a greater number of movements to business and commercial traffic. London Oxford still does get very busy with nearly 1,000 movements a day on occasions like Grand Prix Days at Silverstone. Steve Jones, Managing Director, London Oxford Airport spoke about the past year and how difficult it had been with the recession still biting, the snow and the current volcano problem. He said that profits were hard to come by and that the airport had to work hard to get them but the airport had faired well in the recession compared to some, the airport managed to remain open for a few hours during every day of the snow early in the year. The bad winter had taken it's toll on the airport equipment and some will need replacing but this might take a while because budgets are tight and investment is difficult to find in today's economic climate. James Dillon-Godfray, Head of Marketing and Development at the airport said that the airport had bucked the trend with non-resident business jets up 32%. In the 2010 forecast the airport predicted some 5,000 business aviation movements but it looks more likely to be nearer 6,000 non-resident business aviation movements, along with this increase fuel sales are up 47%. London Oxford Airport is now a Category 6 airport with the runway exactly the same length as London City. The airport now has seven AOC based operators, PremiAir has received a fixed-wing certificate recently and has parent company Von Essen's Premier 1 as the first aircraft on the certificate. Other operators like London Executive Aviation have now based a Cessna Citation Mustang at the airfield. James spoke about a particular kind of environmental threat to the airport airspace security, that of wind-farms. In the local area near to the airport there have been a number of applications for wind-farms and the airport must now try and keep much of the airspace around it, safe for aircraft. Eurocopter UK has been based in the UK for over 30 years, the subsidiary company of EADS it has helicopter finishing hangar where many different types of machine can be completed and finished by their very experienced engineers. Markus Steinke, Managing Director of Eurocopter UK spoke about the support and completion centre at the airport. The company supports some 440 Eurocopters helicopters in the UK, 100 defense, 260 civil and 80 oil and gas. In January 2010 in Aberdeen Eurocopter opened a new service centre for the 60 oil and gas Eurocopter helicopters based there. Markus said that 75% of the Police helicopter fleet in the UK is Eurocopter. Currently, the company delivering a number of new Police helicopters to the UK forces. Markus then introduced the Eurocopter EC-135 Hermes and EC-130 helicopters, an example of each was parked outside on the apron. Currently there are only three EC-135 Hermes, one is in Tokyo, a second in Abu Dhabi and the third based at Oxford. Finally, Markus announced that Eurocopter UK had just signed a firm order with a private customer for a Eurocopter AS-350B3 Squirrel helicopter, a sign that business after being flat for a couple of years is beginning to get started again. Hangar 8’s motto is ‘The difference is in the detail’ so it is a company that wants to give clients that unique experience of flying in style, safely and in comfort on their growing fleet of business jets ranging from the Brazilian built Embraer Phenom 100 to French built Dassault Falcon 2000. Tamara Smart, Sales Manager of Hangar 8 spoke briefly about how the company is performing. The current volcano problem meant that Hangar 8 positioned most of the fleet to Dubai and Southern Europe to avoid any problems. Now a well established company with the fixed based operations at London Oxford, PremiAir has a great deal of experience and expertise in helicopter and fixed wing aviation. The fixed wing services based at the airport is well respected throughout the industry.The rotary wing services are based at Blackbushe. The company also runs a very successful aircraft management service and had just recently obtained a fixed-wing AOC and the Premier 1 was parked outside on the apron. Started in 2009, Flairjet is a new company based at London Oxford with a fleet of two Embraer Phenom 100s, the company received the first Phenom to be registered in the UK and the fleet will grow with the addition of more Phenom 100s and the new Phenom 300 business jet later this year. Chief Executive David Fletcher announced that the company will take under management a third Phenom 100 due next month soon after EBACE and that Flairjet is excited about receiving their first Phenom 300, the company is recruiting pilots and expects to have six aircraft, four Phenom 100s and two Phenom 300s by the end of the year. The company had a Phenom 100 on the apron. AERBT's Editor-in-Chief wrote about the Phenom 100 in the 10th March issue and I think he liked it. In 2010 AirMed is 25 years old and is a specialist company in air ambulance repatriation. The company has in the past seven years spent on new aircraft, medical equipment and maintenance services to give patients that need it the best care possible during flights back to the country. The company now has a Learjet 35A air ambulance on its fleet of nine aircraft. Rupert Dent, spoke about how the company is the only UK air ambulance operator that has Learjets on it's fleet, that operators should talk more about being social utilities rather than just a place for richer individuals and that the company now has a worldwide AOC awarded in July 2009. AirMed also proforms third party maintenance on aircraft such as the Loch Lomond seaplanes. The company has expanded and has now taken more hangarage at the airport. An Icelandic company started in 2005 but with a Dornier 328 Luxury Jet aircraft permanently based at London Oxford. The company offer two seating configurations either a 14 seat luxury or 19 seat executive. Icejet and Swiss company JetComm have formed a strategic alliance which now means that one of JetComm's 31 seat Dornier 328 jets is now included on the Icejet Icelandic AOC. Plans are in place to add a second JetComm Dornier 328 jet to the Icejet AOC in the next few months. Managing Director of Icejet was unable to attend as he was stuck in Iceland. Again the company parked a Dornier 328 jet on the apron. Capital Air Services was begun in 1994 as Oxford Air Services but in 2009 the company re-branded itself to reflect more the fact that a great deal of the work happens all over Europe rather than just in the UK. 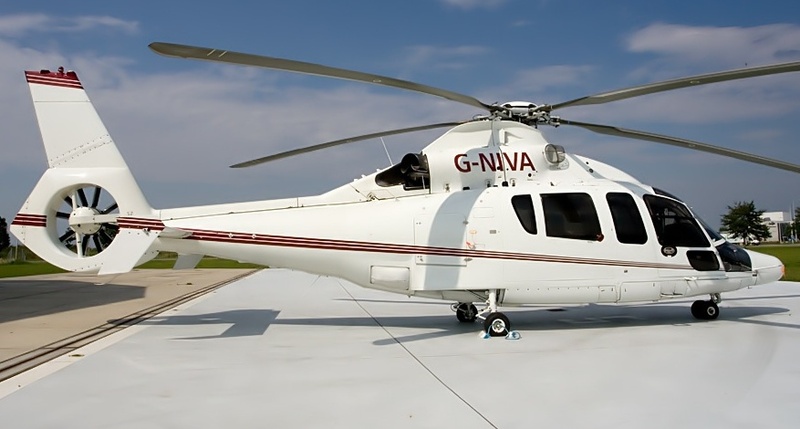 The company operates Eurocopter helicopters but is able to access other helicopter types if the clients require. Michael Hampton, Managing Director spoke about the company and the fleet of ten helicopters including the 16 seat Sikorsky S-92 which is based at London Stansted. Michael spoke of his horror of the British Olympic Committee's lack of understanding and planning for any helicopters during the 2012 games. The London Oxford Airport and the companies that are based there have over the past twelve months faced tough times and trying weather conditions and on the face of it, moved into 2010 in a good position with everyone moving forward and being postive about the future at the regional airport. Most will be at EBACE in Geneva starting on 4th May.